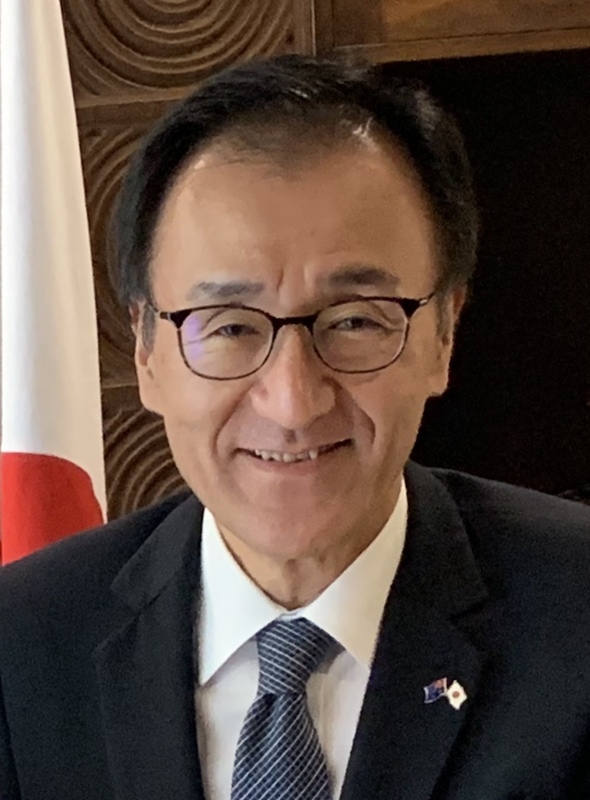 I am Keizo Takewaka, Consul-General of Japan in Sydney. I wish to express my sincere appreciation to those who have kindly assisted me since I assumed this post at the end of October 2016. Our Consulate-General has jurisdiction over New South Wales (NSW) and the Northern Territory. Japan and Australia have continued to deepen their “Special Strategic Partnership”. Prime Minister Abe visited Sydney in January 2017, and in November 2018, Prime Minister Abe visited Darwin, the first visit by a Japanese Prime Minister In Darwin, the two leaders of Japan and Australia visited the Cenotaph (war memorial), and highlighted the speed of reconciliation between the two countries. They also welcomed the commencement of the Ichthys LNG Project. The two countries share a vision for a free and open Indo-Pacific. The 56th Annual Joint Business Conference of Australia-Japan Business Co-operation Committee (AJBCC) was held in October 2018 in Sydney, in which a large number of Japanese business executives led by Chairman Akio Mimura participated. One of the focal discussions of the Conference was the development of Western Sydney which is the third largest economy in Australia. The popularity of Japanese culture is increasing even further. In June 2018, Parramatta held a Japanese festival for the first time, and we had Japanese festivals at Willoughby in September, at Campbelltown in October, and the largest one in Sydney – “Matsuri-Japan Festival” – in December. Darwin also had a Japanese festival in November 2018. Japanese language education and sports exchange are flourishing in Australia. We appreciate the strong Japan-Australia ties and friendship through many sister-city exchanges over the years. In 2018, Yamato Takada City of Nara Prefecture and Lismore City marked the 55th anniversary of their sister-city affiliation. In addition, Edogawa-ku of Tokyo Prefecture and Central Coast City, Kawasaki City of Kanagawa Prefecture and Wollongong City, Kyotamba-cho of Kyoto Prefecture and Hawkesberry City, Sanda City of Hyogo Prefecture and Blue Mountains City, and Sasebo City of Nagasaki Prefecture and Coffs Harbour City embraced the thirty-year anniversary of their respective sister-city relationships. We owe these achievements to many people at the grass-roots level. I thank them for their valuable efforts. I would like to make the Consulate approachable and helpful, and we appreciate your feedback and support.